What is the main idea of a story anyway? If your students are like mine and take the Dibels or Acadiance testing, you are familiar with the subjective testing of retell, which includes the delivery of the main idea of a story read. Telling the main idea of a story is actually a hard concept for students to understand as it is a confusing and difficult skill, which needs to be strategically taught. After all, if it is misunderstood, students continue worksheet after worksheet — test after test to wallow in their confusion. Without promising feedback, simply trying their best at giving answers that may or may not please the subjective grader is a hopeless effort. The main idea is asking the reader to state the authors purpose, what is it the author is trying to tell you? “Whenever someone tells you a story they have a reason behind it, maybe a friend played a fun game yesterday and wants to tell you about it. Knowing why a story is told and what information the teller wants to get across is important in understanding the story.” This knowledge along with the understanding of the characters, conflict, and the solution is simply put— the Main Idea of a story. Here are some of the ways I teach my student exactly how to find the main idea of a story. Strategy 1: Pay Attention to the Title of the Story. Author’s generally include the topic of their story in the title, especially in works of nonfiction. For example, this title gives the reader a great deal of insight: Giraffes: Towering Beauties of the Savanna. Instantly a reader knows the author believes the giraffe to be a beautiful animal that is taller than other animals (towering), and lives in the Savanna. Strategy 2: Think As You Read: Don’t rush through your reading. Rather think about the story as you are read along, making pictures in your brain as you go. If you truly engage in the story, you are more likely to remember what you read. Strategy 3: Find The Conflict and Action in the Story: Dig deep into the story. Think about the conflict, the action, how problems were solved. This information will give you more information into the author’s purpose in writing the story. What is it the characters learned, how did things change, how were things solved? Strategy 4: Keep it Simple: Know that summarizing the main idea of a story is actually easier than it seems. Simply restate the title, tell the characters, setting, a brief description of the beginning (set the stage), middle (what is the problem), end (how was it solved), and you have given the main idea, or the author’s purpose. I had a great evening presenting for the ESGI Webinar Series on a topic that is dear to my heart, “Providing Reading Interventions That Support All Students.” I loved all of the feedback, questions, and comments from viewers. (I wish I could have answered them on the spot). If you haven’t had a chance to watch the webinar, it is available by clicking on the Youtube link below. I am excited to address all of your questions and comments. However, since there are several hundred questions, I am going to address them as quickly as possible, a few at a time on blog posts and through our podcasts. If you have immediate questions, please like us on facebook and feel free to message me directly. Yes! I will answer every question asked (with Lyndsey’s help). Sorting the questions on a spreadsheet, (thank you Lyndsey), I will address tonight the top three questions. Luckily I have a principal that is ALL IN! I have five aides that are assigned to me the full school day to work on school wide interventions. The other TA’s working during interventions are Special Ed aides and teachers, one-on-one behavioral or SPED aides, student interns, volunteers, classroom aides and teachers. Yes, even the assistant principal helps out during an intervention or two. Many Title 1 schools use valuable dollars on coaches and such. 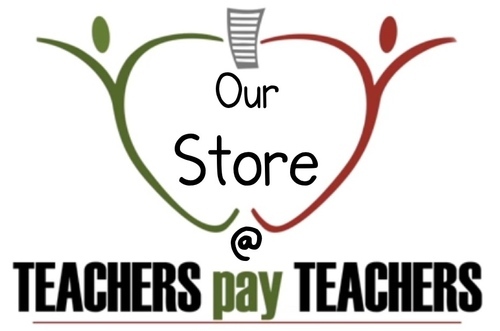 In my school, the assistant principal is the mentor teacher and coach, freeing up valuable dollars for support staff and a Reading Specialist of oversee the program. That being said, I have done interventions with smaller staff sizes. The amount of staff really depends on your needs. Some schools and some grade levels simply need less intervention. Sometimes the teachers and two or so adults will be fine. Other years, I had only me! I gathered all of the parents I could. I was pleasantly surprised at how willing they all were! Parents want the best for their students. Sometimes you just have to ask! Look to see if your community has a foster grandparent program (I had the same foster grandparent for 12 years), or a senior center filled with willing volunteers. Yep! I had a bus load brought in one hour a week to help with interventions. Many clubs like the Kiwanis, JC’s and the Lions are looking for ways to volunteer. There are many college students looking for hours! At my local college, all students are required to do 3 hours of service a week for a mandatory class. Find out if you have this program at a college or University near you. I have had some awesome students help with interventions! High school students are looking for training opportunities. My high schools have had star tutoring programs. I simply call the school, ask for the counselor to see if any students are looking for such a placement. It takes a little creativity, but I think if your mindset is “Build It, They Will Come,” you will be surprised. And if you are extra lucky you will have an all-in principal like I have had. Sometimes you just have to ask. Maybe he/she will be excited to have a school-wide intervention program. 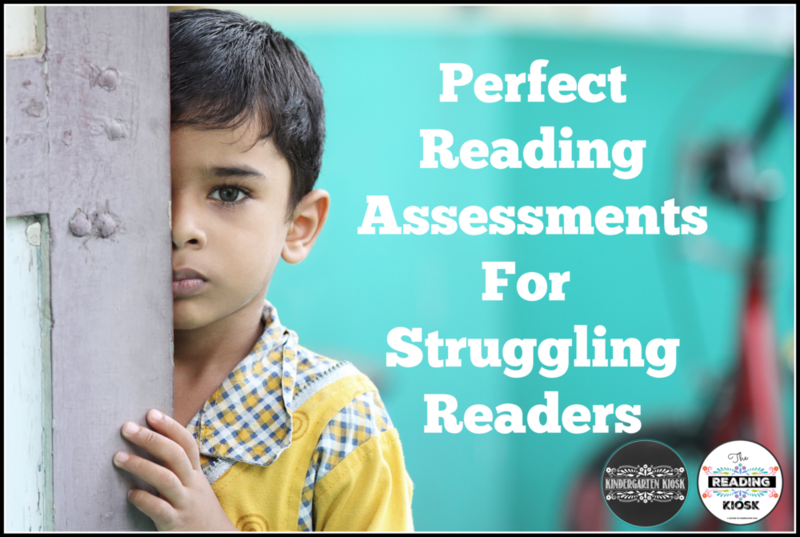 I talked about two of my favorite reading support programs. This question is easy to answer with two quick links. Waterford Early Learning: Run, Don’t Walk to see if you can get funds for the program. Email them and ask for Mike! Tell him Kathy sent you. 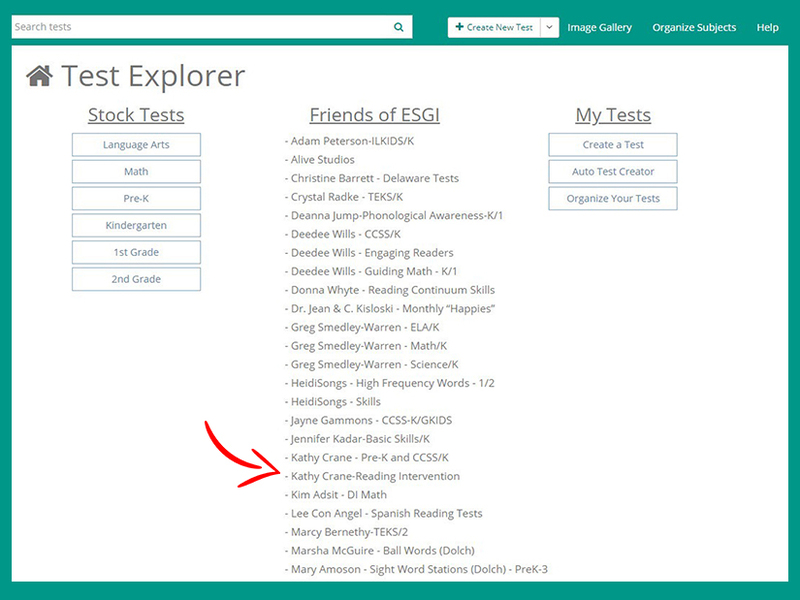 RAZ: We have found this a great way to get “Eyes on Text.” Also your students can access this program at home. Just a note, my 5 year old grandson taught me about this program and gave me an inservice on how to use it. It’s that user friendly! 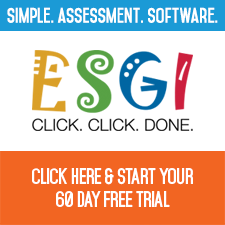 And of course, grab that subscription to ESGI and use the code KIOSK to save $40 off your first year, but more importantly 400 hours! ESGI is so awesome I wrote a song about it! Thanks again for your attention and time. My full goal in life is to make this world a better place, one child at a time. I've started on a new adventure everyone! After 25 years of working as a kindergarten teacher I'm now working as a Reading Specialist. For this new position I'll be helping students in K-6 who are behind in their reading skills. For my Kindergarten Kiosk products I've always focused on the most basic and essential skills that research shows young children need in order to become fluent readers. While I will remain focused on this, my new job requires me to start reaching beyond the basics into the next steps in phonics development. This is where The Reading Kiosk comes in. 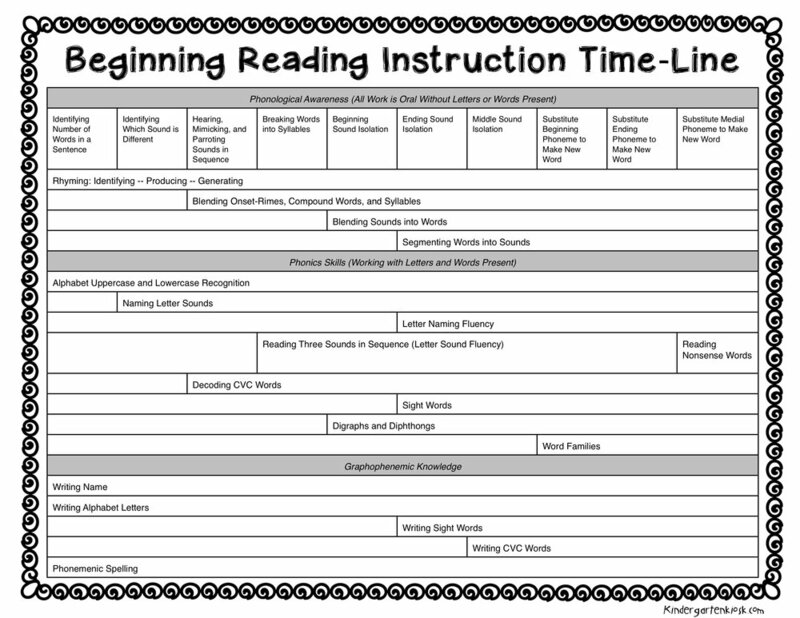 Here I will be posting the materials that I create for my older student's to use to develop their skills -- to give them the "Reading Power" necessary to become strong, independent readers. I hope these materials will help you provide enrichment for your gifted kindergarten students, or help you to teach reading to older students in an explicit and fun way! 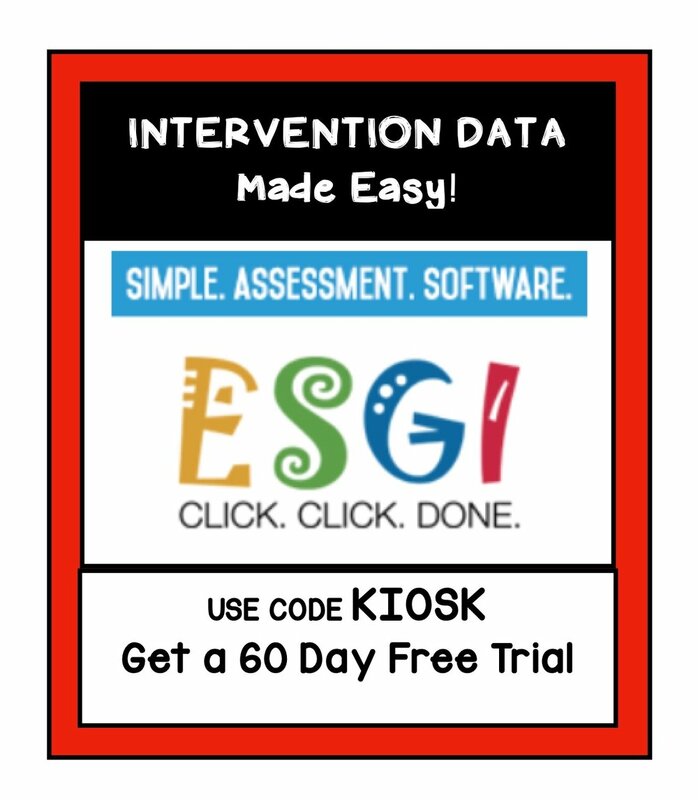 I will use the same time-tested method of delivery -- scripted lessons, as is so popular in our Kindergarten Kiosk products. This method is effective for busy teachers. The teacher simply needs to briefly read the script and adapt the game as needed. Or, the lesson can be easily handed off to a teachers assistant, or volunteer with complete confidence that the objective of the game will be met. These lessons are fun and engaging and can be easily used during center time, in a classroom as an extension, in a homeschool, or an intervention setting. Your students will love these games! I know mine do!